The East Africa Trade and Investment Hub, which is funded by the U.S. Agency for International Development, and its partner, the Kenya Private Sector Alliance, realized that the law sent the wrong signal to foreign investors—especially for a country recently feted by the World Bank as the third-most-reformed country in the Doing Business Index for the second year in a row, moving up 21 places to position 92 in the index. 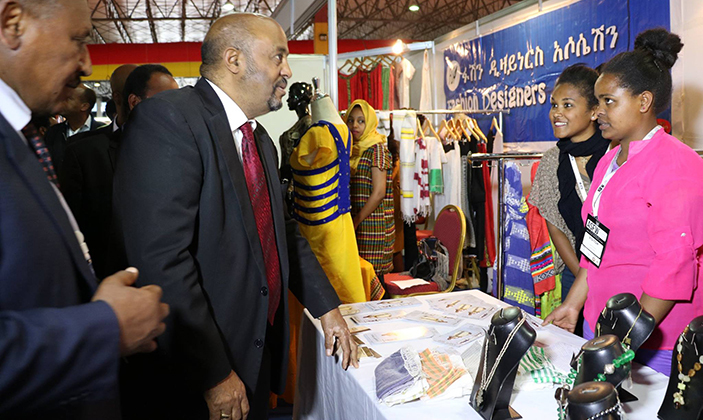 Africa Sourcing and Fashion Week 2016 opened its doors to the entire cotton, textile, apparel, technology, and home décor industry. While acknowledging the benefits of co-investing with local partners—such as access to local market intelligence and technology, and a contextual understanding of local compliance issues—Estrada said these were outweighed by liabilities such as the difficulty in finding an appropriate local equity partner. The 2015 law also was inconsistent with Kenya’s obligations to free up the movement of capital within the East African Community (EAC). Article 24 of the EAC Common Market Protocol requires partner states to remove restrictions in relation to investment, except in certain cases agreed by EAC partner states. After identifying the law as a constraint to economic growth, the Hub composed a reform memorandum used by advocates in the private and public sectors. Widely circulated, the memo explained the issue, articulated the justification for reform, identified those parties responsible for effecting the reform, and provided an exact legal draft for the amendment. The Hub delivered advocacy presentations to the East African Business Leaders Summit on the eve of the EAC Heads of State Summit in March and at Hub-convened public-private dialogues in Dar es Salaam last November, Kigali in January, and Zanzibar in May. The Hub’s representatives further rallied investment promotion agencies in the EAC to appreciate the potential adverse effect the law had on attracting and retaining investment in the region. This included investment policy discussions with CEOs of these agencies as part of their Hub-convened preparations for the World Investment Forum, held in Kenya in July. Kenya President Uhuru Muigai Kenyatta signed the amendment in September; it becomes effective January 1, 2017.